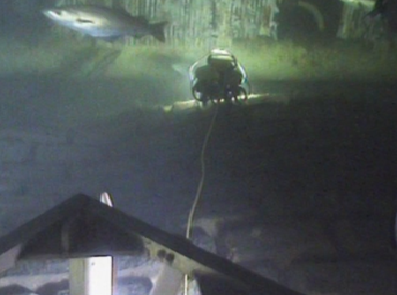 Until recently, subsea valves and structures with over trawling frames and cocoons have not been inspected due to the tight access and egress which is too small for a large ROV to enter and too small and dangerous to allow a diver to attempt to enter. 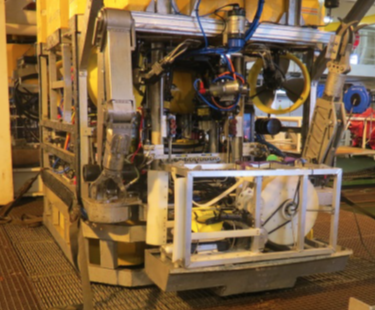 We have designed and built a “Buddy ROV” system whereby our mini ROV the VideoRay Pro 4 is mounted in a garage tether deployment system (TMS) which is connect to a workclass ROV and taken to the target structure. The Mini ROV then flies out of the garage and, due to its size enters the structure safely. To date we have performed both proximity and contact CP surveys via the VideoRay Pro 4 through the Buddy System. The unique feature of our TMS is that there are no slip rings and no oil compensation thus removing the major fault potentials to those of conventional TMS systems. The present design can accommodate some 75 metres of tether which is more than adequate for most operations. 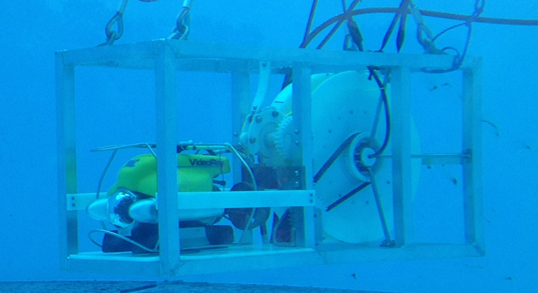 Micro ROV to gain access to areas which are not possible with the current ROVs mobilized on the Normand Subsea. This allows for the removal of significant components of a sliprings systems. There is no need for any of the ancillary components normally associated with sliprings installations – no sliprings means no stationary junction boxes, no rotating junction box, no oil filled system, and no compensators and associated pipework. Significant cost savings are envisaged, along with a substantial weight reduction. Further benefits include the removal of potential environmental contaminants (compensator oil), a reduction of failure points and in maintenance time. The need for operator training is reduced, and safety is improved due to the removal of the need to bleed air from a sliprings system. The elimination of air from a sliprings system has always been an area of operator difficulty; tipping the TMS to get air out of the sliprings is a potential hazard, but often necessary. Reduced number of failure points.